All the aspirants of SSC MTS Exam 2016-17 were looking forward to knowing Tier 1 Cut Off while crossing their fingers. 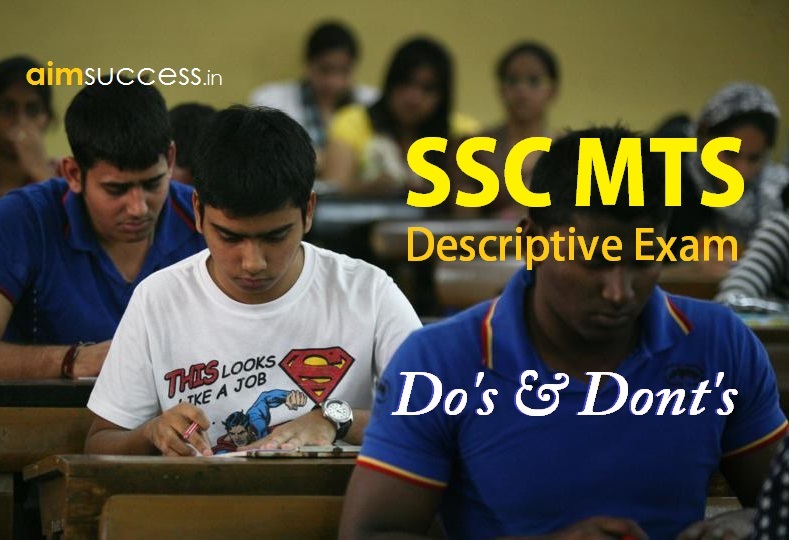 SSC has been a surprising factor for many of the exams conducted by itself. And SSC MTS being no exception released its cut off for various categories on the parameter based on All Over India rather than that on Regional or State wise as in the past. Marks of Candidates will be released after Tier-II exam. But those who came through MTS Tier 1 successfully are in portentous need to know and prepare for Tier 2 Descriptive Exam going to be held on 28 January 2018. It is to be informed on here that four boxes in a single row will be provided in the answer sheet. Every single word in each box will be counted either it’s “A”, “The” or else. So don’t be oblivion regarding the word limits however +/- 30% word limits can be crossed. Try to be clear in your words and let the sheet be neat and tidy. You just have to be precise in your writing. To have a better idea of writing and fluency, develop a habit of reading newspapers. Doing so you will sharpen your ability to make the right usage of words and grammatical structures. However, to get a job in the long run, Marks attained by candidates in Tier 1 are of utmost importance which will decide the fate of the aspirant. But Tier 2 is an inevitable step in imprinting your victory. The qualifying marks for SSC MTS Tier 2 Exam may break the set records as in SSC MTS Descriptive Exam 2014, 40 out of 50 was the released cutoff for the general category,38 for OBC and 35 for SC aspirants. To get the fruition in any competitive exam, make yourself realize first that you are going to compete against lakhs of candidates, take it on a serious note whether it’s a piece of cake for you or not. Standard of the exam may be a bit lower for you but competition is immensely high, thus making it equivalent in the race of competitive exams. Keep the target of achieving 45+ in MTS Tier 2. 43+ can be supposed a safe score to make headway in this Exam. However, the number of seats, number of candidates , difficulty level of Exam will decide the ultimate cutoff for MTS Descriptive Exam. Other than that at aimsuccess, we are providing week wise essays and letters on important topics, you must go through them as all the prominent notes on illustrious government schemes, moot points, events and promising words are contained in them. Paper-II will only be of qualifying nature and is intended to test elementary language skills in view of re-categorization of the post as Group-C and in view of job requirements. Many candidates may still be unaware of the pattern of Tier 2 Exam. To know everything about the descriptive exam whether important topics for essay and letter writing, samples of Essay, Letter on Real Exam like Answer sheet containing boxes, pattern and points to be noticed and mistakes to ignore while writing Essay or Letter. Speaking of Descriptive Exam, it is must to inform that you will have the choice of language preference of writing whether in English or the language mentioned in 8th Schedule of our Constitution.